G.S Industries leading name in Rubber Machinery. G.S Industries a leading name in QUALITY Rubber Machinery, has its unit in the heart of Delhi city just 20 min drive from Santacruze Airport . Having a 36,000 sq ft area land with ultra modern work shop, well equipped with heavy production machinery, G.S Industries with a team of professionals is having vast experience of 50 years since 1966 with qualified engineers who have added new items in their manufacturing range year after year. G.S Industries known for its QUALITY and covers the LARGEST RANGE of rubber processing machinery in India under one roof..
Two roll mills for Rubber Mixing / Warming/ Refining/ Cracking / Breaking in various sizes and batch capacities Dispersion Kneaders for close Chamber Mixing from LAB. To large Production Units. Hot feed Rubber Extruders – HOT FEED 50mm- 250mm Cold feed Extruders Plain BARREL/ PIN BARREL/ VENTED Or Degassing Barrels in size 50mm- 200mm. GS Industries offer dispersions kneader for the mastication of rubber batches. Built with high precision, the machine delivers thoroughly dispersed compounds, with help of correctly angled blades offering best shearing action. A uniformly downward-acting , contoured , cooled pressure-lid, and jacketed-mixing area ensures even . 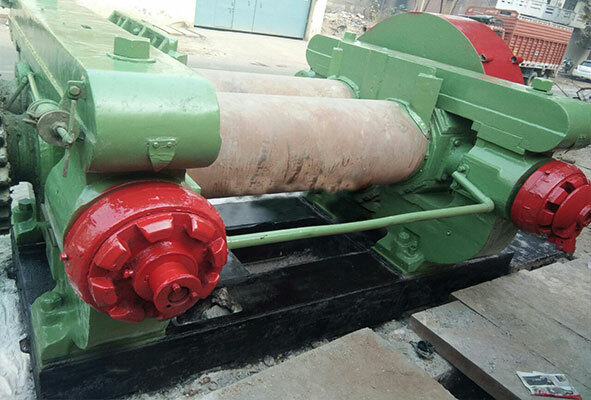 Anti Friction Roller Bearings which saves power to the extent of 25% to 30% For eg: In case of 42" Mill based on 25% Power Saving for 20 Hours working per day will save 54000 Units of Power per year 100% Efficient Till It's Life Time Replacement of Anti Friction Bearing shall take only 30 minutes. "Siemens" System House with 'Forward'. 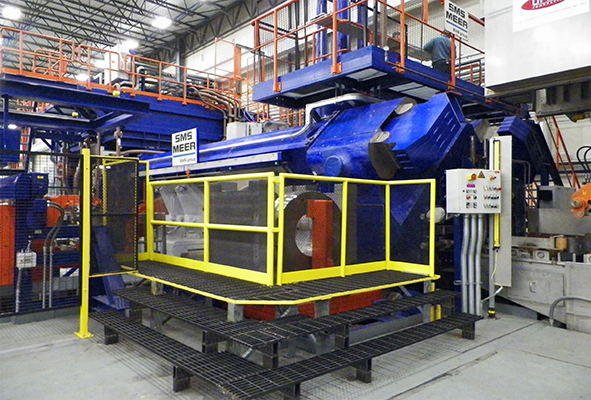 GS Industries can supply Presses in 30 to 3000 Ton capacity, platen size 300mmx300mm to 1500mmx6000, in single or multiple daylights in Electrical/ steam/ Thermic fluid heated versions, single or batterey of 2-3-4 presses, with Hand lever operation or Automatic PLC controlled 'INCH' & "auto" cycles with multiple breathing. 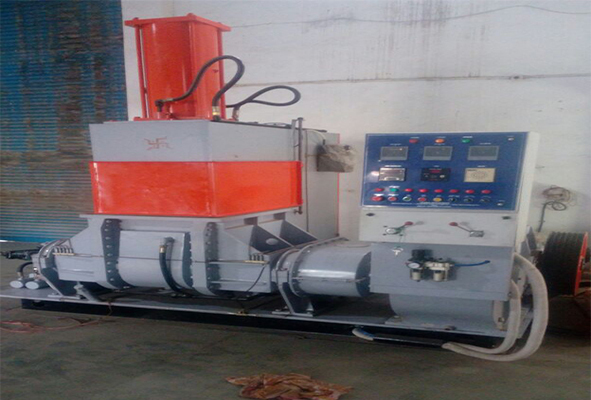 Three Roll Calender Machine is specially made to take care of different products and ensures excellent output. 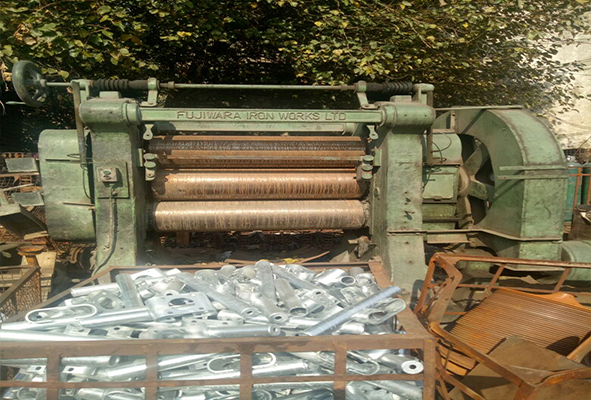 Latest technology and sophisticated machinery are used in manufacturing procedure of these machines. The offered range of machines are extensively used for Sheet Gauging. 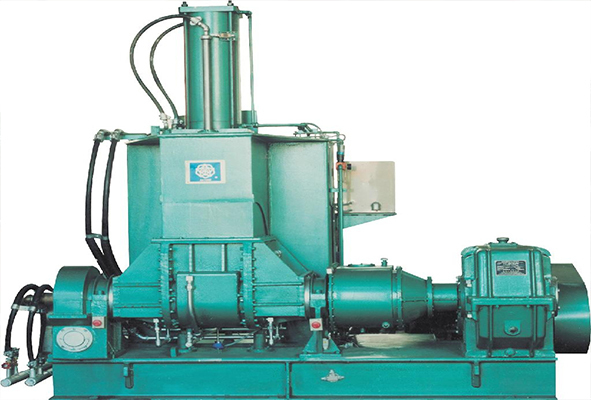 Modern offers Rubber Extruders Which are extensively used for processing elastomeric compound for production of rubber strips, rubber profile, rubber channels, rubber chords, rubber tubing, rubber threads, Rubber Hoses, Recoating of Rubber Hoses, compound pre-heating for calendaring, Inner Tubes for bicycle. We are involved in the Purchase of Used Electrical Transformers. We can even customize the range for our clients and offer these transformers in different dimensions and shapes. 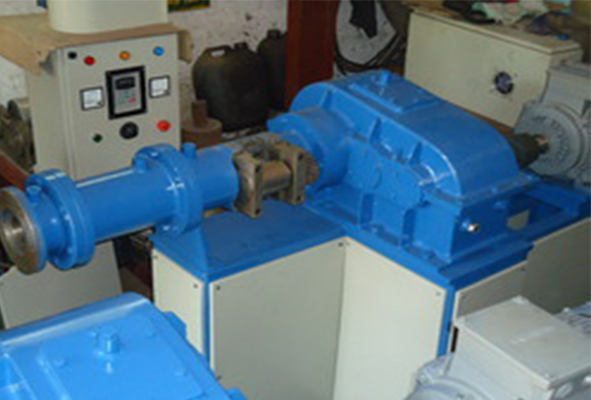 The transformers made in our organization are highly functional and give excellent performance.